Who is ready for some hearty family meals? I love all of the soups and stews and yummy foods during this season. 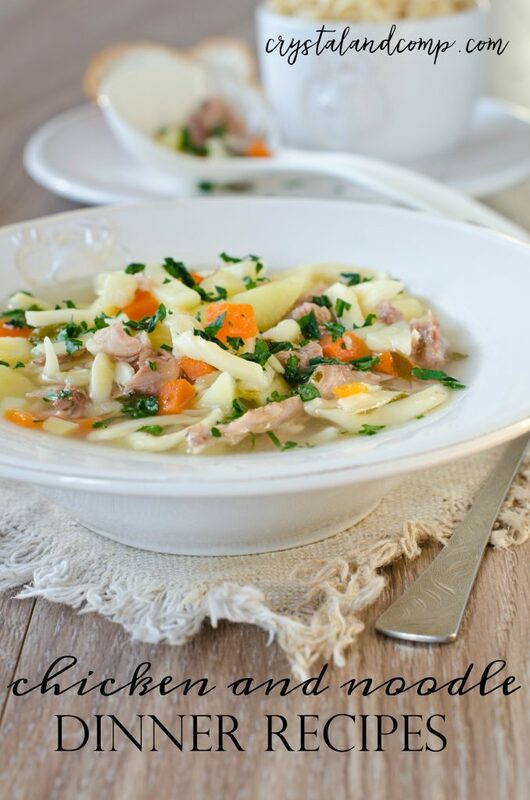 Chicken noodle recipes are a family favorite every season and they never get old. Comfort foods make you feel better when you’re sick or when the weather is cold. Amazing, right? If you are looking for super tasty and easy recipes that use chicken and noodles, then just check out some of these amazing ideas! 6. Combine creamy noodles and sauce with chicken in this delicious Crispy Chicken with Italian Sauce and Bowtie Noodles. Jamie Cooks It Up! Do you have a favorite chicken and noodles recipe? Share your best ideas!